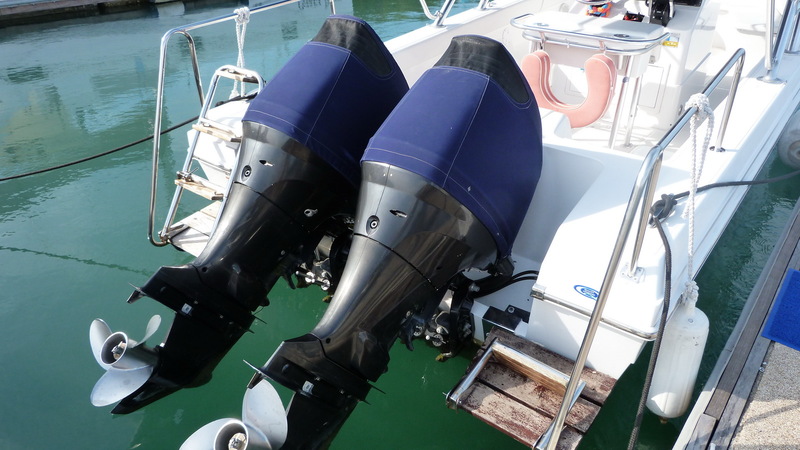 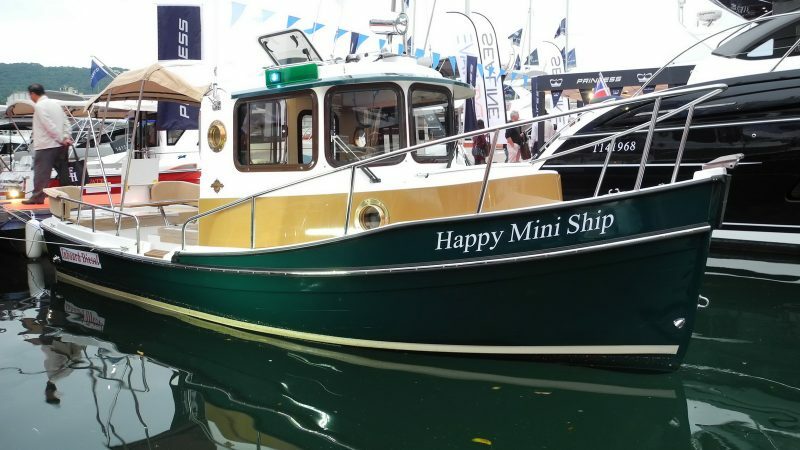 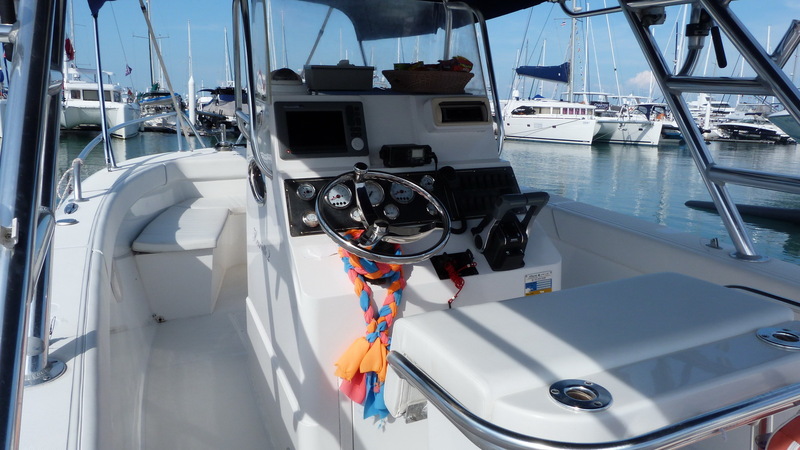 This Al Dhaen 240 SF is a good quality centre console boat powered by twin 175 hp Suzuki 4 stroke engines with just 400 hours. 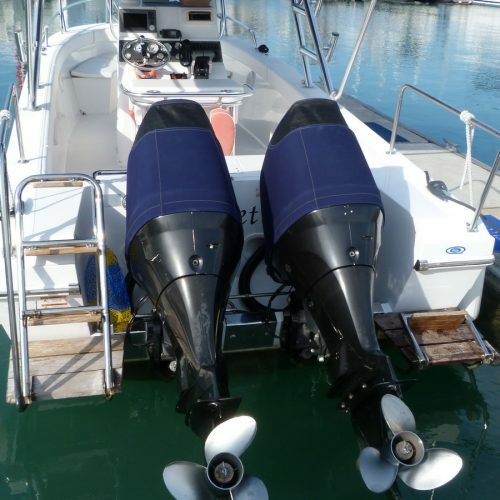 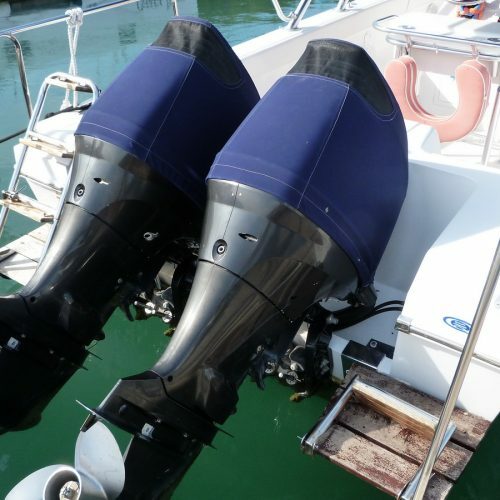 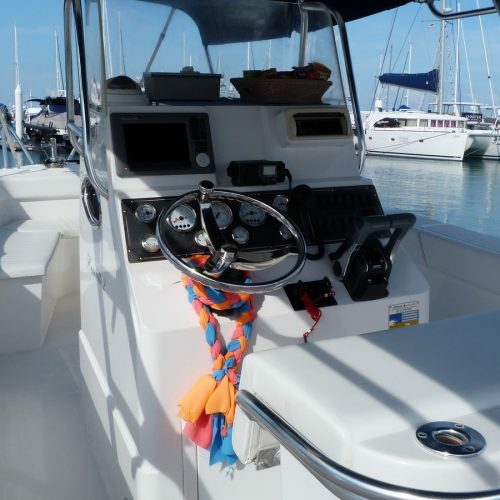 With a top speed of 30 knots and a 25 knot cruising speed it will get you out to the quieter islands and the best fishing and diving sites with ease. 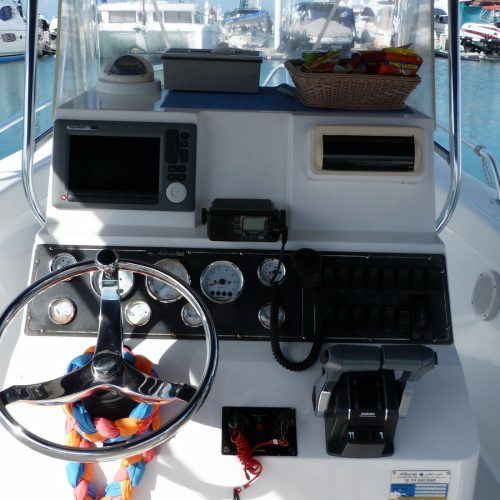 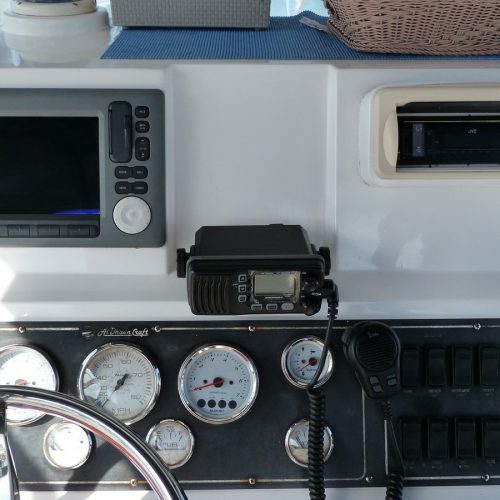 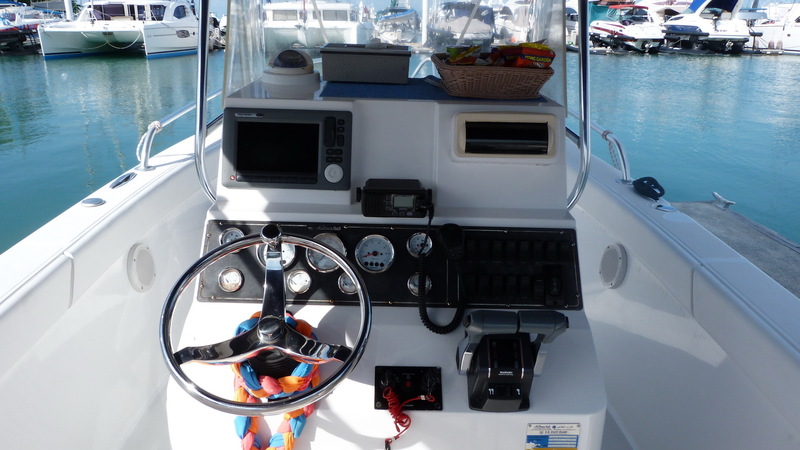 It is fitted with a large screen colour chartplotter, VHF radio and Bluetooth stereo system. 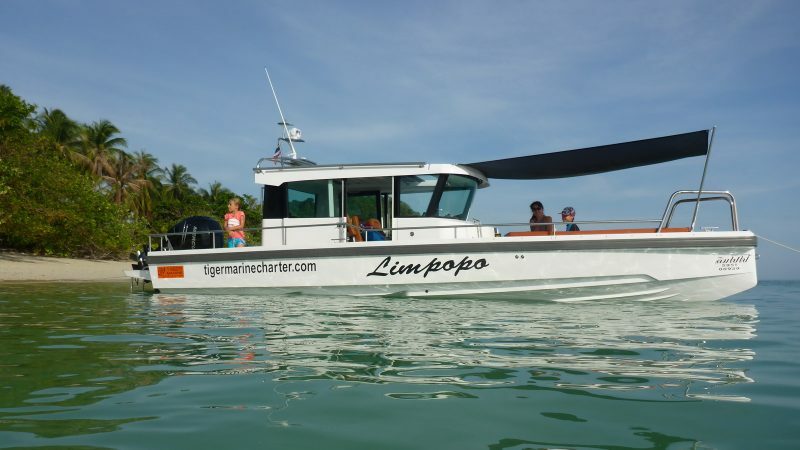 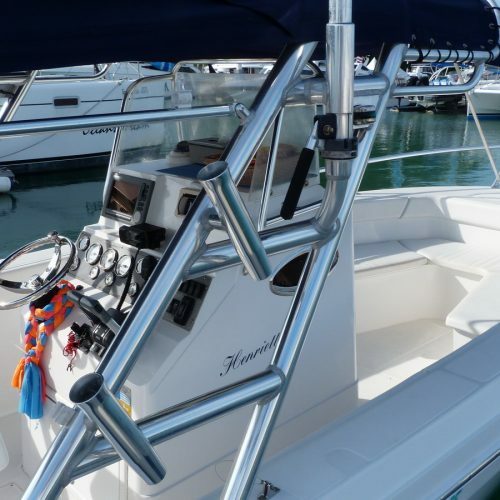 The entire boat is protected by a large bimini with a forward seating area for four with storage below, a double console seat for two plus two more seats aft. 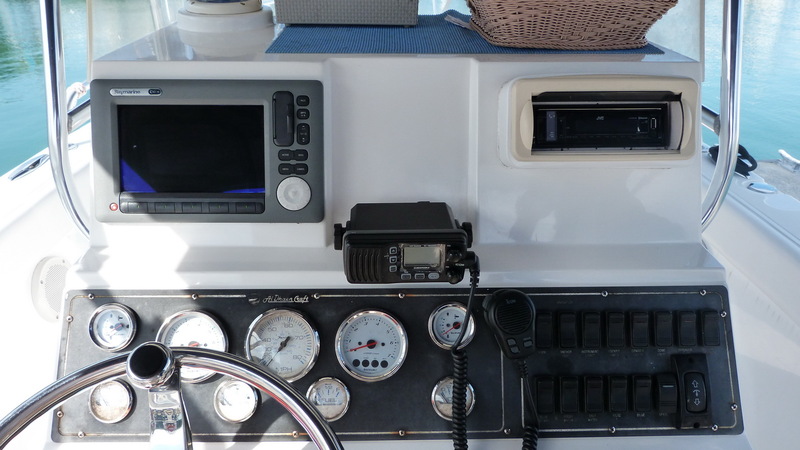 There is a good size step down head in the forward part of the helm station with a hand held shower. 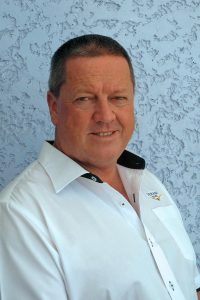 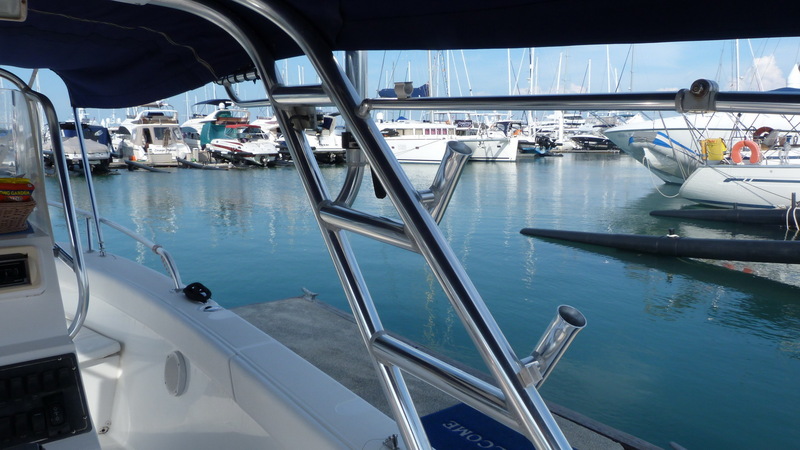 The boat is fitted with an electric windlass and stainless anchor post. 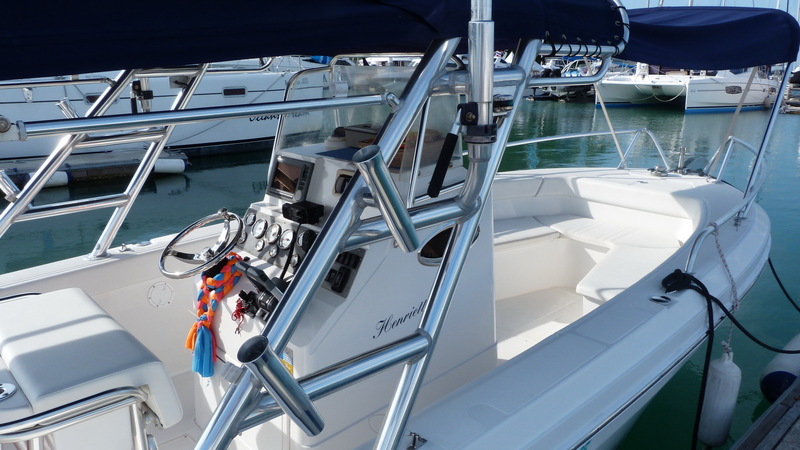 There are twin boarding ladders, a short one for boarding from the beach and a longer swim ladder. 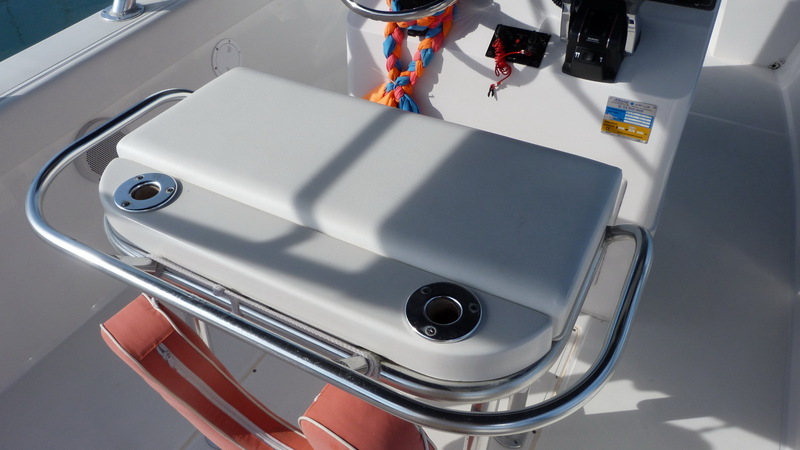 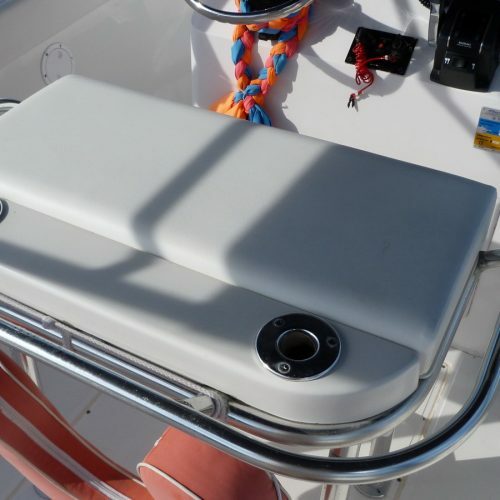 There are four rod holders in the bimini frame plus two more in the back of the console seat. 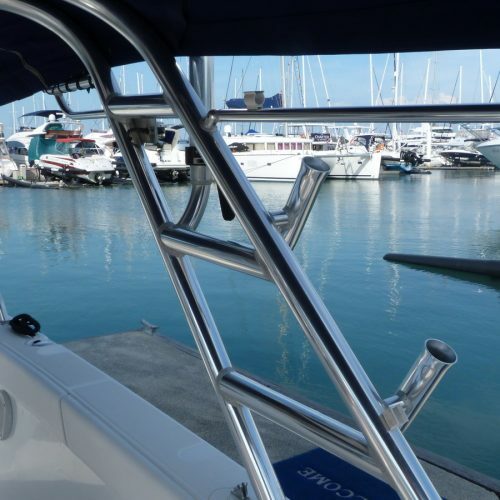 The boat is also equipped with outriggers and a seat back for the console seat which is not shown in the photos but is included in the sale. 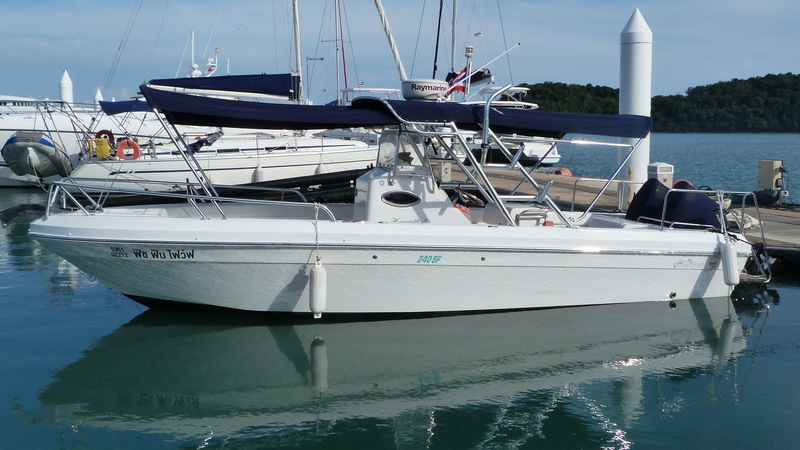 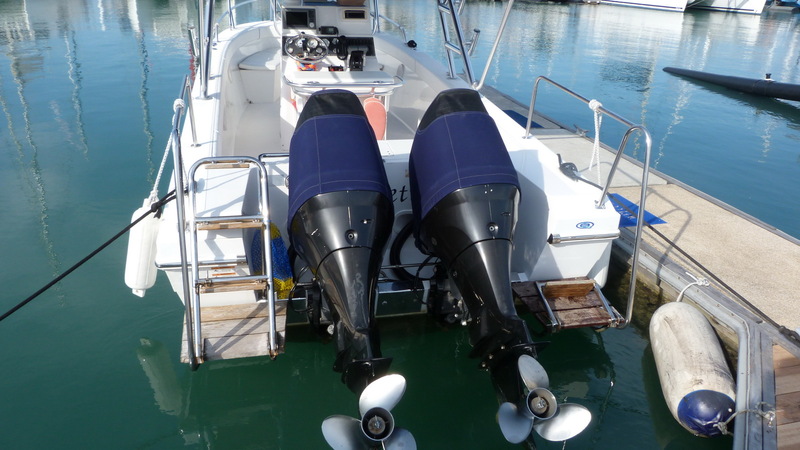 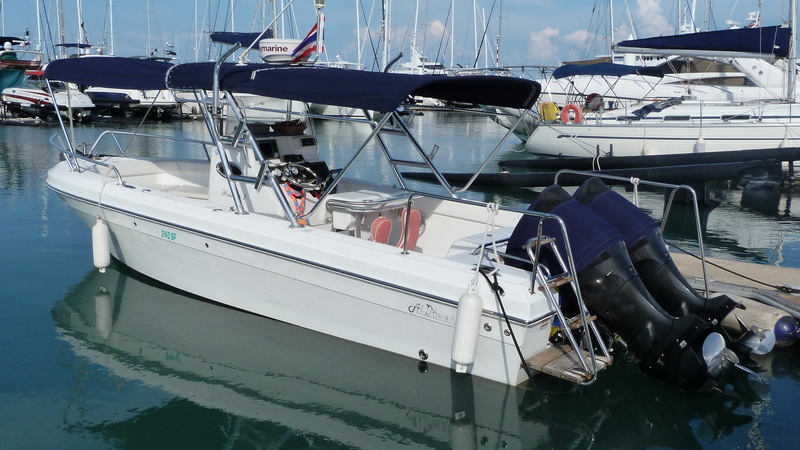 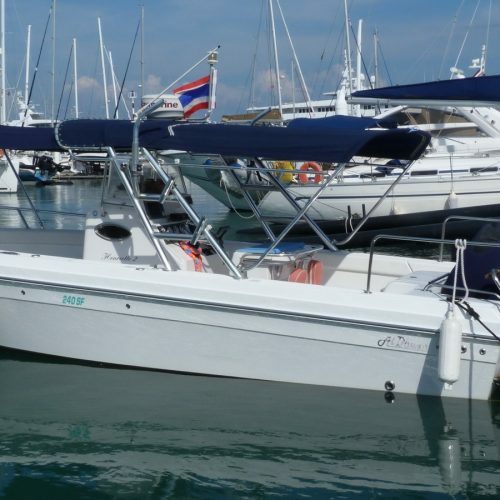 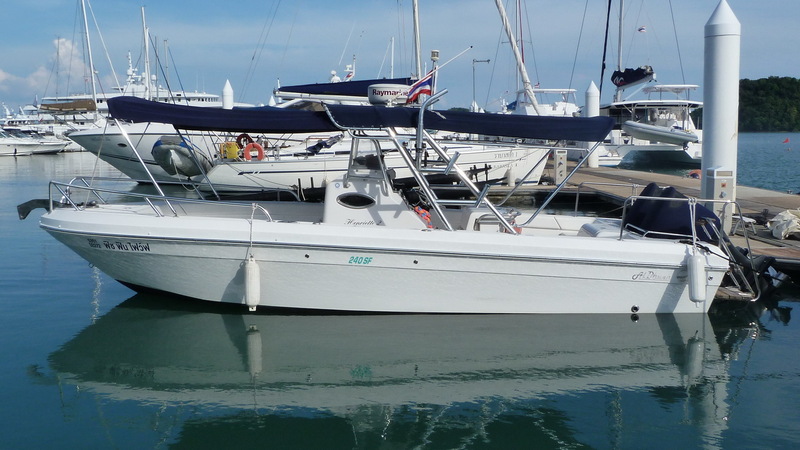 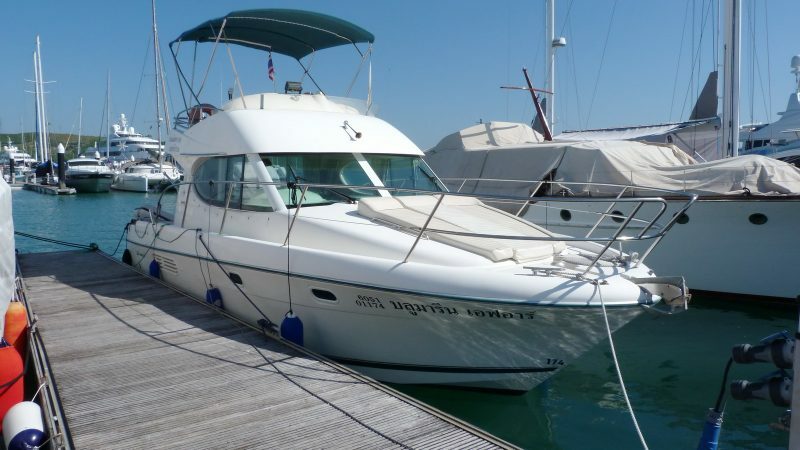 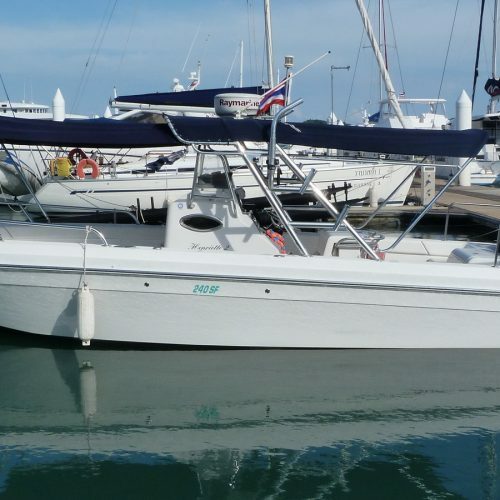 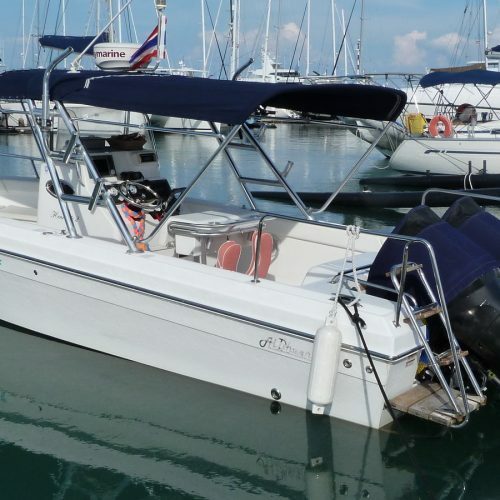 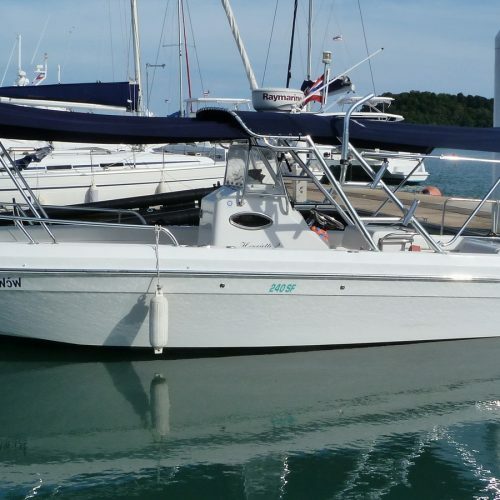 This Al Dhaen 240 SF is an ideal day boat for Phuket and the surrounding islands. 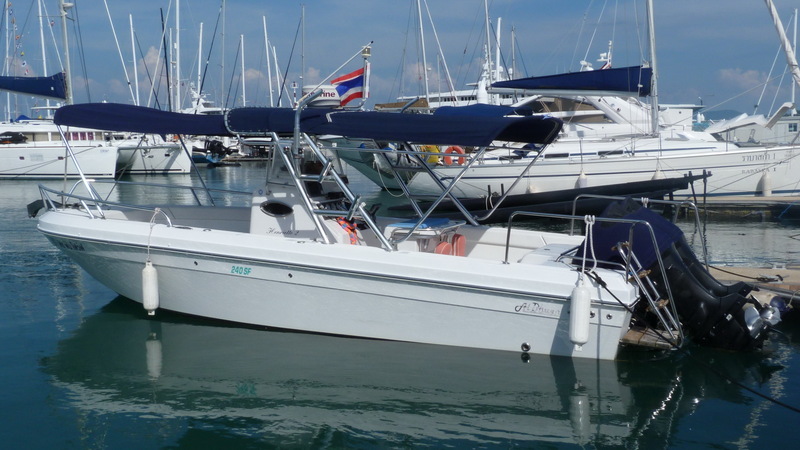 It is suitable for fishing or diving or island hopping with friends.